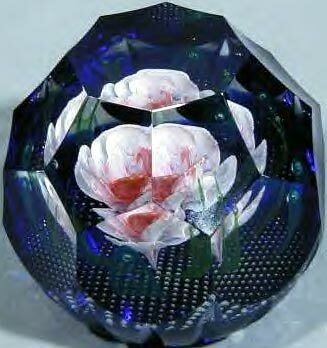 Master Designer Colin Terris brought about a major revolution in paperweight design during the 1960's when he 'invented' modern design paperweights. 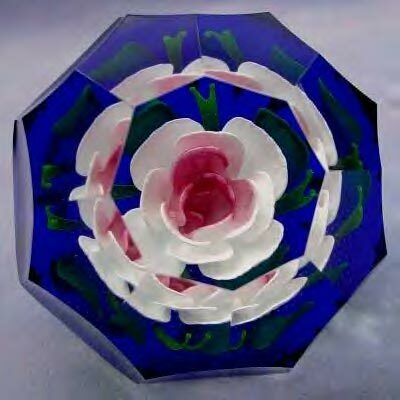 Colin has designed literally thousands of paperweights and art glass pieces since he joined Caithness Glass in 1968, many of which are now valued collectables. He created his 'Classic' limited edition range of paperweights in celebration of his 33 years with the company. 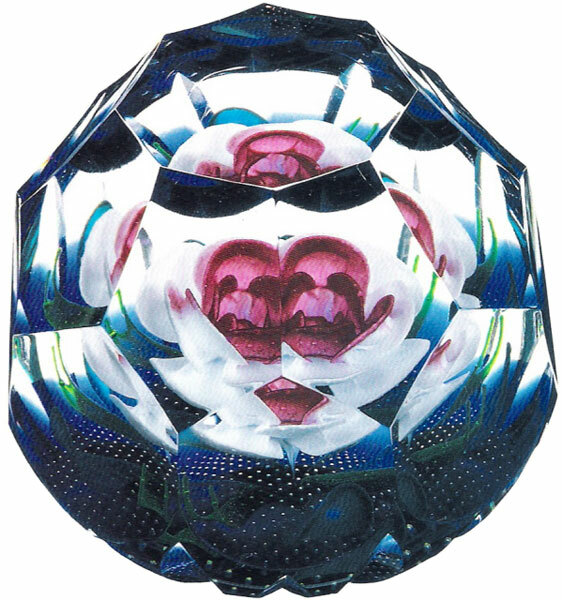 In this collection, probably Colin's last paperweight collection for Caithness due to his retirement at the end of 2001, he looks back over 30 years of paperweight design and has selected twelve of his favourites and re-interpreted them for 2002. Colin's choice was influenced by many things; aname; atechnique that was instantly successdul; a new shape or faceting style, or just a piece of which he has always been particularly fond. He hopes that you will enjoy his selections. Each piece is limited to its edition size and to production only in 2002. Opus 2002 - A majestic rose within jewel-like faceting. Inspired by one of the most popular exclusive Collectors' Society paperweights of all time, Opus 88. The original colours have been retained but the size has been increased to a magnum and magnificent multi-faceting has been added.